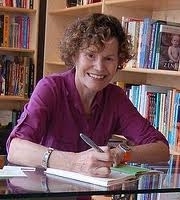 Last Wednesday, beloved children's author, Judy Blume disclosed that she had breast cancer. With all the candor that made Are You There, God? It's Me, Margaret such a classic, she revealed her shock when the first test led to additional tests, and her disbelief when she was finally diagnosed. Read about her bravery, here. I'm sure the thoughts and prayers of all her fans are with her.